The Client shall provide Safe Access and Sufficient Lighting to ensure that all systems and areas to be inspected under this standard are Readily Accessible and Observable. (1) The purpose of a Home Inspection for Residential Buildings, including their attached garages, is to provide the Client with an inspection Report that forthrightly discloses the physical conditions of the systems and components listed in 266 CMR 6.04 which are Readily Accessible and Observable, including those systems and components, which are Safety Hazards as Observed at the time of the inspection. (2) An inspection carried out under the standards of 266 CMR 6.04 is not and shall not be construed to be a comprehensive Architectural and/or an Engineering study of the dwelling in question. (a) Use a written contract and provide only the Client with an original copy of the contract unless otherwise directed by the Client. (b) Observe Readily Accessible and Observable installed systems and components listed in 266 CMR 6.04. 1. Identify those components specified to be identified in 266 CMR 6.04. 2. Indicate which systems and components designated for inspection in 266 CMR 6.04 have not been inspected. 3. Indicate the condition of systems and components so Inspected including those that were found to be in need of repair, require additional investigation, and areas that have a potential for concealed damage. 4. Record the Inspector's name (and the Trainee's name if applicable). 5. Record the Client's name and the address of the property inspected. 6. Record the on-site Inspection start and finish times. 7. Record the weather conditions at the time of the inspection. 8. Record the existence of obstructions and/or conditions that prevented the inspection of the installed systems and components. 9. Embed in the Report and/or attach to the Report the list of itemized questions in 266 CMR 6.03(4)(a) through (k). 10. Embed in the Report and/or attach to the Report a copy of 266 CMR 2.00: Definitions and a copy of the 266 CMR 6.00: Standards of Practice. (2) Every registered professional Home Inspector may have a seal of the design shown below authorized by the Board. All Reports prepared by a registered Home Inspector, or under his supervision, may be stamped with the impression of such seal and/or bear the name and license number of the Home Inspector. 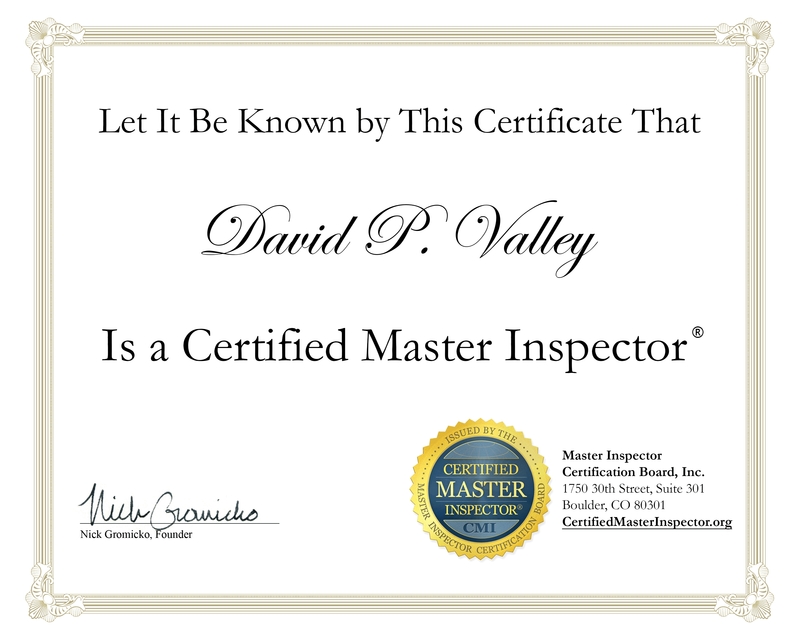 A registered Home Inspector shall impress his seal on and/or attach his name and license number to a Report only if his/her certificate of registration is in full force, and if he/she is the author of such Report or is in charge of its' preparation. (c) The subject area is beyond the scope of the Home Inspector's expertise. (4) The Inspector shall notify his/her Client that answers to the following questions should be ascertained from the Seller and/or the Seller's Representative because they are important and relevant to the purchase of the inspected dwelling and may not be Readily Observable through inspection. The Inspector shall have been deemed to satisfy this requirement by embedding and/or attaching the questions listed in 266 CMR 6.03(4)(a) through (k) to the Report. (5) The Inspector shall not represent to the Seller/Seller's Representative or Client that there is any legal obligation, duty, or requirement on behalf of the Seller/Seller's Representative to answer the questions set forth in 266 CMR 6.03(4)(a) through (k). (6) The Inspector shall not be held liable for the accuracy of third party information. (a) Reporting observations and conditions in addition to those required in 266 CMR 6.04. (b) Excluding other systems and components from the inspection if requested by the Client and noted in the Report. (c) Providing Optional Fee Based Services, as long as they are contracted for in writing and/or included in the report and are not prohibited under 266 CMR 6.06. 5. Signs of leaks on building components. 1. the type of roof covering materials: Asphalt, Cementious, Slate, Metal, and/or Tile Shingles, Built-up type (Bald Asphalt, Tar and Gravel, Mineral Covered Rolled Roofing, Ballasted Rubber Membrane, Adhered Membrane, Mechanically Fastened Membrane, Other. 4. the methods used to Observe the roofing. 1. Any signs of previous and/or active leaks. 2. The following exposed Readily Accessible and Observable roofing components: the roof covering, exposed roof drainage systems, exposed flashings, skylights, exterior of chimney(s), roof penetrations. 1. Walk on the roof unless in the opinion of the Home Inspector he/she is provided Safe Access, and the Seller and/or the Seller's Representative provides authorization that relieves the Inspector of all liability of possible damage to the roofing components, and in the opinion of the Inspector, walking on the roof will pose no risk of personal injury or damage to the roofing components. a. Attached accessories including, but not limited to: solar systems, antennae, satellite dishes and lightning arrestors. b. The interior of chimney flues. 2. Entryway doors and windows. 4. Decks, balconies, stoops/landings, steps, areaways/window wells, and porches including hand and guard railings. 5. Exposed trim (eaves, soffits, fascias, rake, corner, and other trim Boards). 7. Driveways, walkways, vegetation, grading, site drainage, and retaining walls. 1. Wall-cladding materials: Cementious Siding, Asphalt and/or Wood Shingles, Aluminum and/or Vinyl Siding, Wood Clapboards, Brick, Other. 2. The deck/porch component materials: Brick, Concrete, Concrete Block, Steel, Wood, Other. 3. Deck/porches, balconies, stoops/landings, steps, areaways/window wells, including hand and guard railings. 6. Driveways, walkways, and retaining walls with respect to their effect on the condition of the dwelling and their ability to provide safe egress. 7. Vegetation, grading, site drainage with respect to their effect on the condition of the dwelling. 1. Probe exposed Readily Accessible and Observable exterior components where deterioration is suspected: However, probing is NOT required when probing would unduly damage any finished surface. 2. Operate all entryway doors and representative number of windows and Report their condition and need of repair, if any. 3. Operate garage doors (if the garage is attached to the main dwelling), manually or by using permanently installed controls of any garage door operator. 4. Report whether or not any garage door operator will automatically reverse or stop when meeting resistance during closing. 1. Storm doors and windows, screening, shutters, awnings and similar seasonal accessories. 2. Fences, landscaping, trees, swimming pools, patios, sprinkler systems. 4. Geological conditions (Engineering services). 5. Soil conditions (Engineering services). 7. Any other dwelling units or addresses in multi-unit buildings. 8. Outbuildings and detached garages. However, should the Inspector include the inspection of these structures, under 266 CMR 6.07: Optional Fee Based Services, the inspection must comply with the standards of 266 CMR 6.04. (3) System: Structural Components Exposed in the Basement/Under Floor Crawl Space and Attic Space; Including Signs of Water Penetration. a. The exposed portions of the foundation. b. The exposed portions of the Basement/Under Floor Crawl Space floor. c. The exposed portions of the superstructure system (girders, sills, floor joists, headers, and sub-floor). d. The exposed portions of the columns and posts. a. The type of exposed Basement foundation materials (brick, concrete block, concrete, stone, wood, other). b. The type of exposed Basement floor system (concrete, earth, wood, other). c. The type of exposed Basement superstructure system (girder(s), sills, floor joists, and sub-floor). d. The type of exposed Basement columns and posts (brick, concrete block, concrete, steel, wood, other). a. Probe exposed Readily Accessible and Observable structural components where deterioration is suspected; however, probing is NOT required when probing would unduly damage any finished surface. b. Note the methods used to Observe Under Floor Crawl Spaces. c. Note obstructions, unsafe access, and dangerous or adverse situations that prevented him/her from inspecting the items noted in 266 CMR 6.04(3)(a)3.a. through d..
d. Note signs of previous and/or active water penetration into the Basement, Under Floor Crawl Space and attic including the presence of sump pumps and dehumidifiers. a. Collect engineering data such as the size, span, spacing, species, section modulus, slenderness ratio and/or modulus of elasticity of the structural members. b. Provide access to the items being inspected (Responsibility of Client/ Seller/Seller's Representative). iii. If a Dangerous or Adverse Situation is suspected and Reported by the Inspector. d. Observe and Report On Wood destroying insects, rodents and/or vermin unless specifically contracted for in writing. (Independent Pest Control/Extermination Service). 1. The Inspector shall Observe the following exposed Readily Accessible and Observable roof framing structural components: The exposed portions of the roof framing, including the roof sheathing. b. Roof Sheathing: Boards, Oriented Strand Board, Plywood, Other. c. The methods used to Observe attics (through a hatch or while standing in the attic space). a. The presence and/or lack of flooring, obstructions, unsafe access, and dangerous or adverse situations that prevented him/her from inspecting the items noted in 266 CMR 6.04(3)(b)2.
ii. Sheathing Materials (Boards, Oriented Strand Board, Plywood, Other). c. The presence of a light. a. Probe exposed Readily Accessible and Observable structural components where deterioration is suspected: However, probing is NOT required when probing would unduly damage any finished surface. b. Note the presence of a light. c. Note the presence of collar ties and/or tie beams. b. 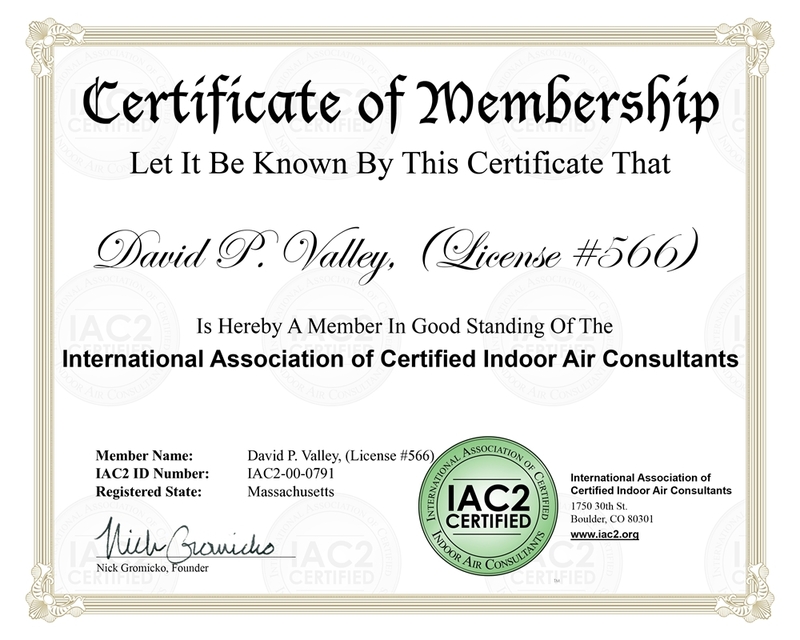 Walk on the exposed and/or insulation covered framing members. c. Collect engineering data such as the size, span, spacing, species, section modulus, slenderness ratio and/or modulus of elasticity of the structural members. (Engineering services). d. Provide access to the items being inspected. e. Observe and Report On Wood destroying insects, rodents and/or vermin unless specifically contracted for in writing. (Independent Pest Control/Extermination Service). 1. The exterior of the exposed service entrance conductors. 3. The service equipment, grounding system, main overcurrent device, and the interior of the service and distribution panels (by removing the enclosure covers). 4. The exterior of the exposed branch circuit and feeder conductors, their overcurrent devices, and the compatibility of their ampacities and voltages. 6. The number of branch circuits and overcurrent devices in the panel enclosures. 1. The service as being overhead or underground, cable, encased in conduit, other. 2. The type of service, feeder, and branch-circuit conductor materials (copper, copper-cladded aluminum, aluminum, other). 3. The type of Interior Wiring (Armored Cable, Conduit, Tubing, Nonmetallic Cable, Knob and Tube, Flat Cable Assemblies, Other). 4. The location of the service and distribution panels and indicate whether they are Readily Accessible and Observable. 5. The ampacity and the voltage of the main service disconnect (30, 60, 100, 125, 150 and/or 200 amp, other service, 120, 120/240, 120/208-volt system). 6. Any of the overcurrent devices that are in the off position. 1. The electrical service equipment including the service and distribution panels. 3. Any polarity or grounding issues of the receptacles required to be tested. 4. The exposed and Readily Accessible and Observable interior wiring. 5. Conditions that prevented him/her from inspecting any of the items noted above. a. The polarity and grounding of a representative sample of the Readily Accessible two and three-prong receptacles throughout the dwelling. b. The polarity and grounding of all un-dedicated bathroom and kitchen countertop receptacles. c. The polarity and grounding of all Readily Accessible, non-dedicated receptacles in the attached garage and on the exterior of inspected structures and in unfinished basements, and check to see if they are ground fault protected. d. The operation of all Readily Accessible Ground-fault Circuit Interrupters. e. The operation of all Readily Accessible Arc Fault Current Interrupters. f. All bathroom and kitchen countertop receptacles to see if those receptacles are ground fault protected. a. The reason(s) for not removing any panel covers. b. The location of the service and distribution panels. ii. If the overcurrent devices are identified for use with aluminum wire. d. If the electrical system is attached to both the city and dwelling side of the water piping and/or a ground rod. e. If the water piping is not bonded to the electrical system within the first five feet of its entry into the Basement. f. If the neutral and equipment-ground terminal bars are bonded to the panel enclosures. g. The compatibility of the overcurrent devices and the size of the protected conductor (Over-fusing). h. The functionality of ground-fault and arc fault protected receptacles, if any, as determined by the required testing. i. The existence of ground fault protection devises on all bathroom, kitchen countertop, exterior, unfinished basement, laundry and undedicated attached garage receptacles. 1. Collect engineering data on the compatibility of the overcurrent devices with the panel and/or determine the short circuit interrupting current capacity. (Engineering services). 2. Determine the adequacy of the ground and/or the in place systems to provide sufficient power to the dwelling, or reflect on the sufficiency of the electric distribution system in the Dwelling (Engineering/Electrical Services). 3. Insert any tool, probe, or testing device inside the panels. 4. Test or Operate any overcurrent device except Ground-fault Circuit Interrupters and Arc Fault Interrupters. 5. Dismantle any electrical device or control other than to remove the covers of the service and distribution panels. However, the Inspector is not required to remove the covers of the service and distribution panels if the panel covers are not Readily Accessible, if there are Dangerous or Adverse Situations present, or when removal would damage or mar any painted surface and/or covering materials. a. The quality of the conductor insulation. (Electrical Services). b. Test for Electro-Magnetic fields. (Electrical Services). c. Low voltage systems, doorbells, thermostats, other. d. Smoke and carbon monoxide detectors (Seller's responsibility, M.G.L. c. 148, ' 26E and 527 CMR 31.06). e. Telephone, security alarms, cable TV, intercoms, or other ancillary wiring that is not a part of the primary electrical distribution system. f. Underground utilities, pipes, buried wires, or conduits (Dig Safe). a. Piping materials, including supports and insulation. a. Traps; drain, waste, and vent piping; piping supports and pipe insulation. c. The presence of Automatic Safety Controls. d. The exterior of the chimneys, thimbles and vents. 1. The type(s) and condition of water distribution piping materials (Brass, Copper, Steel, Lead, Plastic, Other). 2. The type(s) and condition of drain, waste, and vent piping materials (Brass, Copper, Cast Iron, Galvanized, Lead, Plastic, Steel, Other). 3. The type of water heating equipment (Gas, Electric, Oil, Tankless, Solar, Other), and the nameplate capacity of the water heating equipment (gallons and/or gallons per minute). 4. The location of the main shut off valve. 2. The exposed flue piping and the existence of thimbles in the chimney. 3. The Readily Accessible and Observable waste and water distribution systems. 1. Operate all plumbing fixtures where practical, including their faucets if readily Accessible. a. The presence of a pressure/temperature valve and vacuum relief valve at the water heater. b. The existence of Cross Connections if Readily Accessible and Observable. c. The existence of any visible leaks. 1. Test the operation of any valve except Readily Accessible water closet flush valves and fixture faucets. 2. Collect engineering data on the size of or length of water and/or waste systems and/or remove covering materials (Engineering/Plumbing services). 3. Report On the adequacy and/or the efficiency of the in place systems to provide sufficient hot water to the dwelling, sufficient water supply, or drainage for the dwelling (Engineering services). 4. State the effectiveness of anti-siphon devices (Engineering/Plumbing services). 5. Determine whether water supply and waste disposal systems are public or private (Seller/Seller's Representative responsibility). a. The exterior hose bibs. c. Fire and lawn sprinkler systems. d. On-site or public water supply quantity and quality. e. On-site (Title V Inspection, 310 CMR 15.00) or public waste disposal systems. f. Foundation sub drainage systems. g. whirlpool tubs, except as to functional flow and functional drainage. h. interior of flue linings. i. Underground utilities, pipes, buried wires, or conduits (Dig Safe). j. Equipment related to on-site water supply systems. k. Water filtration Components and Systems. 1. Heating equipment including, but not limited to burners, valves, controls, circulators and fans. 4. The exterior of the chimneys, thimbles and vents. 6. Heating distribution systems including Readily Accessible fans, pumps, ducts, piping and supports, dampers, insulation, air filters, registers, radiators, fan coil units, convectors. 8. The presence of an installed heat source in each habitable room including kitchens and bathrooms. 9. The exposed flue piping and the existence of a thimble(s). 10 The presence of a fireplace(s) and the operation of their damper(s). 1. The type of energy source (Coal, Electric, Gas, Heat Pump, Oil, Wood, Other). 2. The heating equipment (Electric, Hot Air, Hot Water, Steam, Other). a. Piping: (Black Iron, Copper, Other). b. Duct work: (Aluminum, Fiberglass, Steel, Other). 3. The flue piping and the existence of a thimble(s). a. The absence of an installed heat source in habitable rooms including kitchens and bathrooms. b. The existence of insulation. c. The presence of exposed flues in the smoke chamber being utilized by other appliances. d. The operation (only) of fireplace dampers. e. The existence of abandoned oil tanks. f. Any observed evidence of underground oil tanks. (Exposed abandoned oil lines, meters, etc.) Abandoned oil tanks and associated piping must be removed per 527 CMR. 2. If possible, have the Seller and/or the Seller's Representative Operate the systems using Normal Operating Controls. If not possible for Seller or Seller's Representative to Operate system, the Inspector shall Operate system using Normal Operating Controls and Report On condition of the heating equipment. 3. Open Readily Accessible and Operable Access Panels provided by the manufacturer or installer for routine homeowner maintenance. 1. Test and/or inspect the heat exchanger. This requires dismantling of the furnace cover and possible removal of controls. (Engineering services/Heating services). 2. Collect engineering data on the size of the heating equipment and/or the size or length of the distribution systems. (Engineering/Heating services). 3. Report On the adequacy or uniformity of the in place system(s) to heat the dwelling and/or the various rooms within the dwelling (Engineering/Heating services). 4. Operate heating systems when weather conditions or other circumstances may cause equipment damage, or when the electrical and/or fuel supply to the unit is in the off position. 5. Ignite or extinguish solid fuel and/or gas fires. 6. Identify the type of insulation coverings. a. The interior of flues with the exception of exposed flues serving other appliances as Observed in the smoke chamber of the fireplace. b. Fireplace inserts flue connections. e. Active underground pipes, tanks, and/or ducts. However, the Inspector must Report their existence if it is known. g. The uniformity or adequacies of heat supply to the various rooms. (7) System: Central Air Conditioning. a. Cooling and air handling equipment. 2. The following exposed Readily Accessible and Observable distribution systems: Fans, pumps, ducts and piping, with supports, dampers, insulation, registers, fan-coil units, condensers, the presence of insulation on the distribution system. (b) The Inspector shall Identify the type of distribution system (Duct work: Aluminum, Fiberglass, Steel, Other). 2. The insulation on the exposed supply ductwork. 3. The condition of the condenser and air-handling unit. 2. Open Readily Accessible Operable Access Panels provided by the manufacturer or installer for routine homeowner maintenance and Report On conditions Observed. a. Whether or not the cold gas line is insulated. b. Whether there is, a service receptacle and a visible service disconnect switch in the area of the condenser and air handling equipment. 1. Collect engineering data on the size of the cooling equipment, the size or length of the distribution systems. 2. Identify the type of insulation coverings. 3. Observe, Identify, or Report On air filters and/or their effectiveness. 4. Have the Seller and/or the Seller's Representative Operate the cooling systems when weather conditions or other circumstances may cause equipment damage, or when the electrical supply to the unit is in the off position. 5. Observe, Identify, or Report On evaporator coils (Requires dismantling of the plenum cover and possible removal of controls which is HVAC technician work). 6. Observe, Identify, or Report On non-central air conditioners. 7. Report On the adequacy or uniformity of the in place system(s) to cool the dwelling and/or the various rooms within the dwelling (Engineering/Heating services). (8) System: General Interior Conditions. 1. Walls, ceiling, and floors. 2. Steps, stairways, balconies, hand and guard railings. 3. Counter tops and a representative number of cabinets. 5. Separation walls, ceilings, and doors between a dwelling unit and an attached garage or another dwelling unit. 1. The type of exposed floor material (brick, carpet, ceramic tile, linoleum, slate, vinyl tile, wood, other). 2. The type of exposed wall materials (brick, ceramic tile, fiberglass, laminates, paneled, plaster, gypsum wallboard, plastic tile, other). 3. The type of exposed ceiling materials (acoustical tile, gypsum wallboard, plaster, wood, other). 4. The condition of the interior stairs, hand and guard railings. 5. Signs of water penetration. 6. The interior doors Observed and tested. a. Paint, wallpaper, and other finish treatments on the interior walls, ceilings, and floors. b. Draperies, blinds, or other window treatments. 2. Determine the fire safety rating of any walls, ceilings, and doors between a dwelling unit and an attached garage or another dwelling unit. (9) System: Insulation and Ventilation. 1. Exposed insulation in unfinished spaces. 2. Ventilation of Attics and Under Floor Crawl Space areas. 1. The type of ventilation in the attic space (None, Ridge, Soffit, Area, Power Vent, Gable, Eave, Mushroom, Turbine, Other). 2. The existence and/or absence of bathroom ventilation other than a window(s). 1. The absence of insulation in unfinished space at Conditioned Surfaces. 2. The absence of ventilation of an Under Floor Crawl Space. 1. The type(s) and/or amounts of insulation and/or its material make-up. 2. Concealed insulation and vapor retarders. 3. Venting equipment that is integral with household appliances. 4. The venting of kitchens. 5. The adequacy, uniformity and capacity of the in place system(s) to ventilate the various areas of the dwelling (Engineering/Heating services). (a) Home Inspections done in accordance with the standards set forth in 266 CMR 6.04 are visual and not Technically Exhaustive. (b) The Home Inspections standards set forth in 266 CMR 6.04 are applicable to Residential Buildings with four or less Dwelling units under one roof and their attached garages. 1. The remaining life expectancy of any component or system. 2. The causes of the need for repair. 3. The materials for corrections of the problem. 4. The methods of repair other than to indicated the repair should comply with applicable requirements of the governing codes and sound construction practices. 5. Compliance or non-compliance with applicable regulatory requirements unless specifically contracted for in writing. 6. Any component or system not covered by 266 CMR 6.04. 8. Items that are not Readily Accessible and Observable, underground items, or items not permanently installed. 9. Systems or Components specifically excluded by Client (noted in writing in the Contract or in the Report). 1. Offer warranties, guarantees and/or insurance policies of any kind on the property being inspected. 2. Collect any engineering data (the size of structural members and/or the output of mechanical and/or electrical equipment). 3. Inspect spaces that are not Readily Accessible and Observable. Enter any area or perform any procedure, which may damage the property or its components, or be dangerous and unsafe to the Inspector or other persons, as determined by and Reported by the Inspector. 4. Disturb or move insulation, stored and/or personal items, furniture, equipment, plant life, soil, snow, ice, or debris that obstructs access or visibility. 7. Project operating costs of Components. 8. Determine extent or magnitude of damage or failures noted. 9. Operate any System or Component which does not respond to normal operating controls. 10. Test for radon gas. 11. Determine the presence or absence of pests including but not limited to: rodents or wood destroying insects. 12. Determine the energy efficiency of the dwelling as a whole or any individual system or component within the dwelling. 13. Perform Environmental Services including determining the presence or verifying the absence of any micro organisms or suspected hazardous substances including, but not limited to, carbon monoxide, latent surface and/or subsurface Volatile Organic Compounds, PCB's, asbestos, UFFI, toxins, allergens, molds, carcinogens, lead paint, radon gas, electromagnetic radiation, noise, odors, or any contaminants in soil, water, air wet lands and/or any other environmental hazard not listed in 266 CMR 6.05(2)(a) and (b). 14. Evaluate acoustical characteristics of any system or component. 15. Inspect surface and subsurface soil conditions. (1) Reporting on the market value of property or its marketability and/or the suitability of the property for any use. (2) Advising their Client about the advisability or inadvisability of the purchase of the property. (3) Testing Automatic Safety Controls. (4) Activating the sump pumps and/or dehumidifiers. (5) Offering or performing any act or service contrary to law and/or 266 CMR 6.00. (6) Determining the cost of repairs of any item noted in their Report and/or inspected by them and/or their firm. (7) Offering to make and/or perform any repair, provide any remedy: including but not limited to performing engineering, architectural, surveying, plumbing, electrical and heating services, pest control (treatment), urea formaldehyde or any other job function requiring an occupational license and/or registration (in the jurisdiction where the inspection had taken place) on a Dwelling, and/or Residential Building inspected by his/her firm. The only exception is if those repairs and/or services are part of a negotiated settlement of a complaint and/or claim against the Inspector and/or the firm he/she/represents. (8) However, nothing in 266 CMR 6.06 shall prohibit the Inspector and/or his/her/firm from offering consulting services on a Dwelling, and/or Residential Building his/her firm has not inspected as long as the consulting service is not pursuant to the sale and/or transfer of the property and/or dwelling. (9) Operating any system or component that is shut down or otherwise inoperable. (However, the Inspector shall recommend the Seller and/or the Seller's Representative demonstrate that those systems and/or components are functional). (10) Turn on any electrical or fuel supply and/or devices that are shut down. (However, the Inspector shall recommend the Seller and/or the Seller's Representative demonstrate that those systems and/or components are functional). There are certain risks inherent in the purchase of property and a Home Inspection is inherently limited in its scope and depth. The information gained from Home Inspection conforming to 266 CMR 6.04 may reduce some of those risks, but the Home Inspection is not intended to provide the Client with protection from all of the risks involved. The Home Inspector may provide Optional Fee Based Services addressing items including, but not limited to, those excluded in 266 CMR 6.04 provided the service is specifically contracted for in writing and/or included in the Report, and do not include the physical repair, abatement, or treatment to the Dwelling, and/or Residential Building being inspected, and is not prohibited under 266 CMR 6.06. To offer any such services that require an occupational license and/or registration, the Inspector shall hold a valid registration and/or occupational license in the jurisdiction where the inspection is taking place. The Inspector shall inform the Client in writing that he/she is so registered/licensed and is therefore qualified to go beyond the standards of 266 CMR 6.04. (1) Purpose and Scope. The purpose of 266 CMR 6.08 is to promote the informed use of energy audits by providing a document, outlining the procedures and benefits of a home energy audit, to buyers of residential dwellings at or before the time of closing. (2) Requirement. Home Inspectors shall provide a document outlining the procedures and benefits of a home energy audit to all Clients purchasing a single-family residential dwelling, a multiple-family residential dwelling with less than five dwelling units, or a condominium unit in a structure with less than five dwelling units. (3) Distribution of Document -Availability, Timing, and Format. The Board shall make a copy of the document to be distributed available on its website. The document must be provided to the buyer of the real estate at or before closing. (4) Prohibition of Additional Fees. No additional fees shall be imposed upon or collected from the buyer or seller of the real estate in connection with the provision of such document.